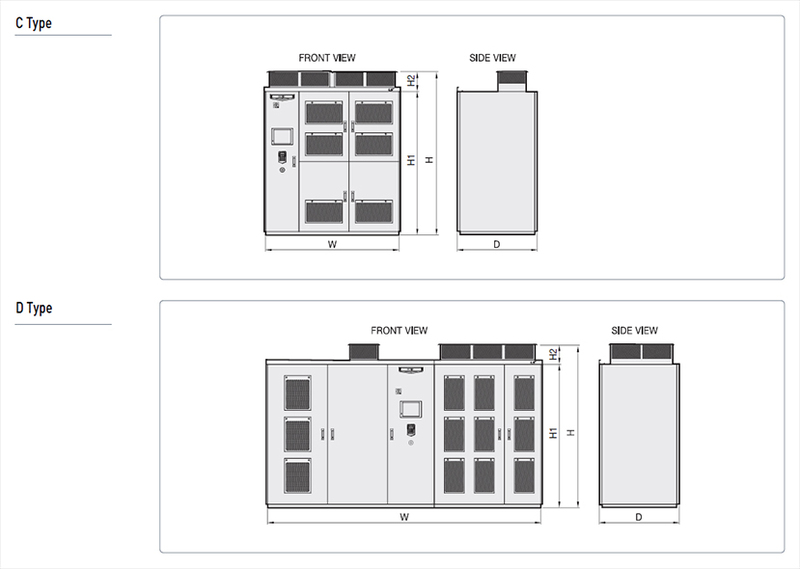 [High Reliability & Performance / Compact / Energy Saving] LSIS medium voltage drive consists of compact integrated systems built on cutting-edge technologies, delivering optimum energy-saving solution featuring high efficiency and power factor. 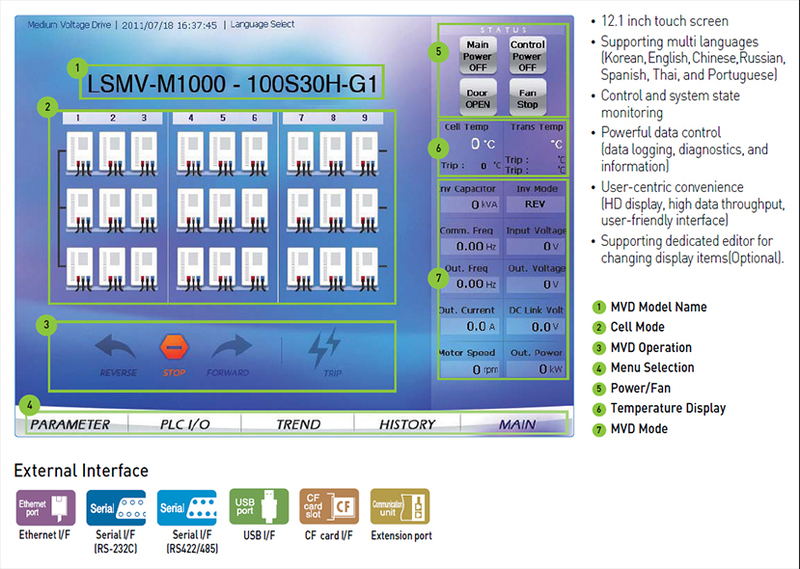 The system supports a user-friendly HMI(Human Machine Interface) that allows easy operation and displays desired information for customers maximum convenience. LSIS medium voltage drive offers leading industrial drive solutions with proven reliability and economic viability. It also contributes to energy saving and environment protection in various industries including gas, water treatment, marine, power generation, and cement. 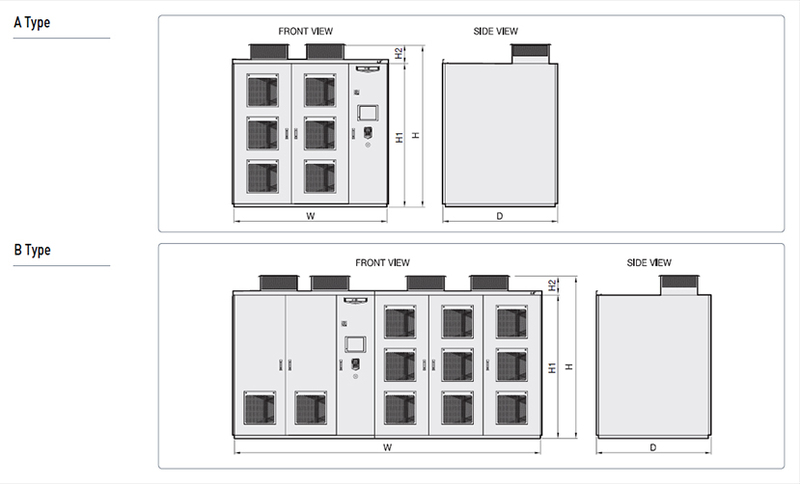 drastically reduces input power THD, hence complying with IEEE-519 standard. active filters on the input side. - Compatible with conventional motors and cables to ensure it fits in with existing system design. - Minimal impact of voltage reflection, allowing longer cable length between drive and motor. Improving system efficiency with a drive-only system configuration without input/output filters. Mechanical energy of load is regenerated to continue operation for up to 5 cycles when power outage occurs. It allows continuous operation without stopping the drive or system.